On Saturday my little girl asked if she could stay the night at her Granny’s house, which gave me a chance to hit the water on Sunday morning. The wind was predicted to be between 15 and 20 mph out of the east, but I decided to tough it out and see what I could find. I launched just after first light and made my way into the marsh. The water was high, red, and fresh, which had me a little worried about the location I had chosen. I thought I might find a little cleaner/saltier water if I paddled deep enough into the marsh, but conditions never changed. 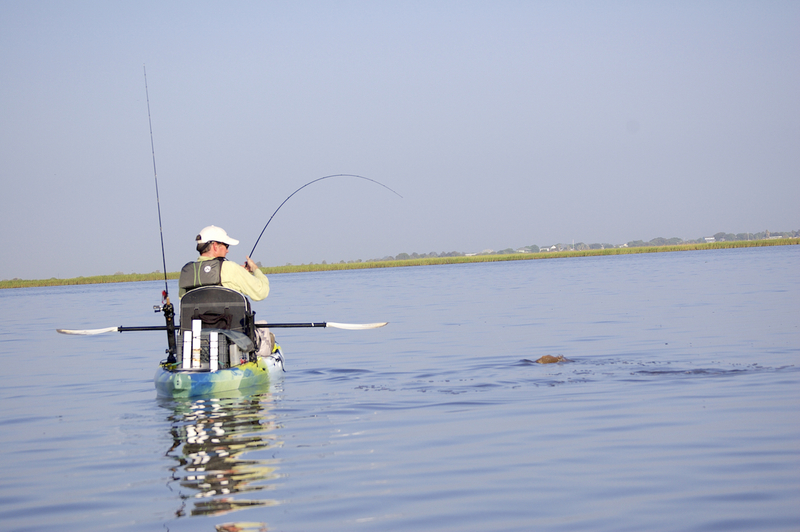 After paddling three miles without any signs of bait or predator, I decided to change directions and fish another spot. I paddled for several miles down narrow channels through several small lakes before the water turned it’s normal brown and I was able to taste a little salt. At about that time I looked across the lake and saw a few birds hovering over the water. 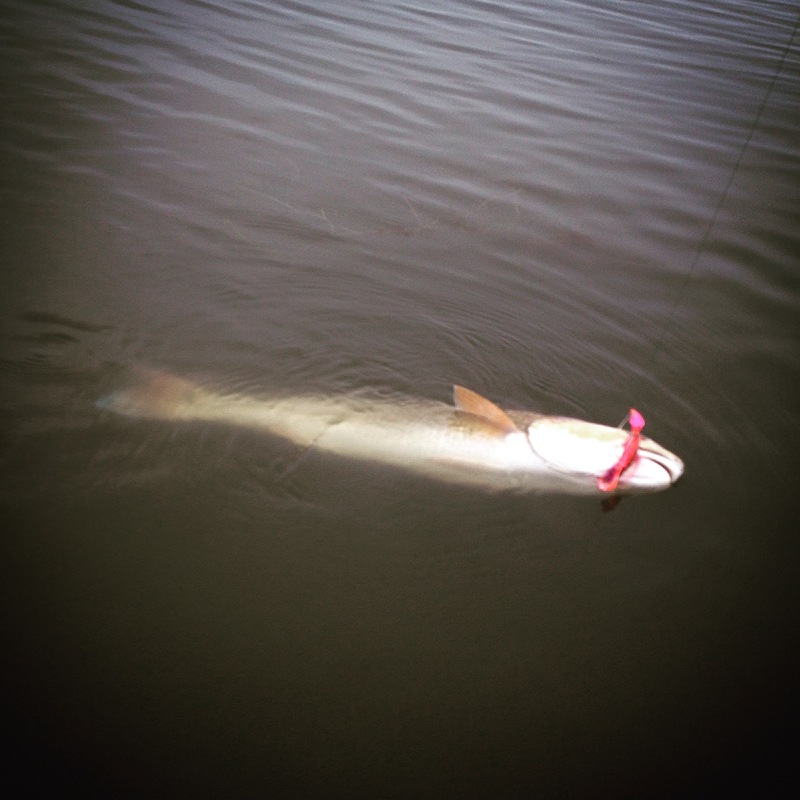 My first cast produced a 33″ bull and my 2nd broke me off. I have been using the same cork and leader for over a month now and I guess the leader finally wore down. The school stayed together long enough for me to pull two more fish from it (a 18″ and 25″ red) before they broke apart for good. I spent the next 2 hours working the wind blown shoreline and caught another 15 reds. Bulls, slots, and rats were all mixed in together having a feeding frenzy. 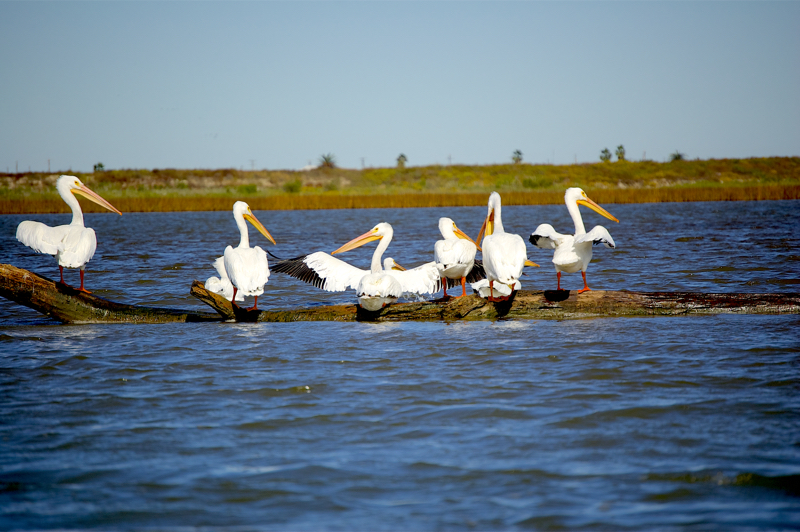 With the extra high tides the key was putting the cork a foot off the grassline of the windblown shoreline and giving several hard pops to get their attention. It never took more than a few pops before it would go under and I’d have a fish on. 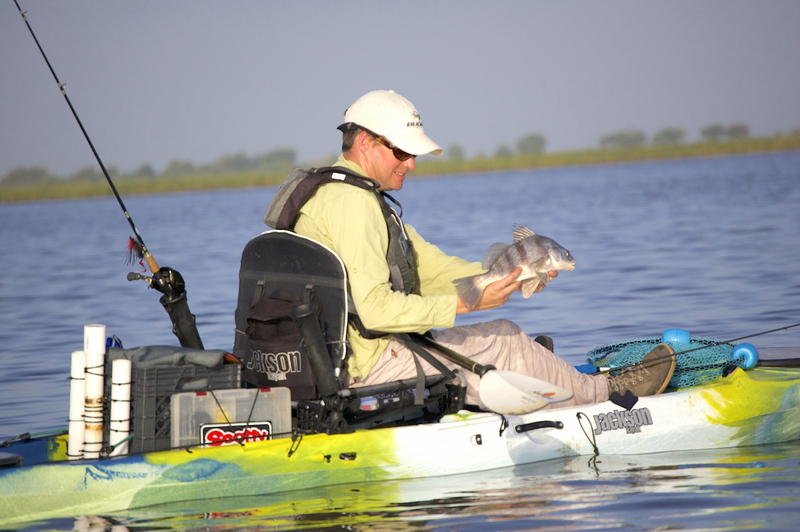 I even caught a small rat that took the gulp off the bow of my kayak while paddling. The action never really died off, I just ran out of time and needed to get home. Despite the 13.7 miles I covered in the nasty wind (Thank God for carbon fiber paddles), it was a productive day on the water. 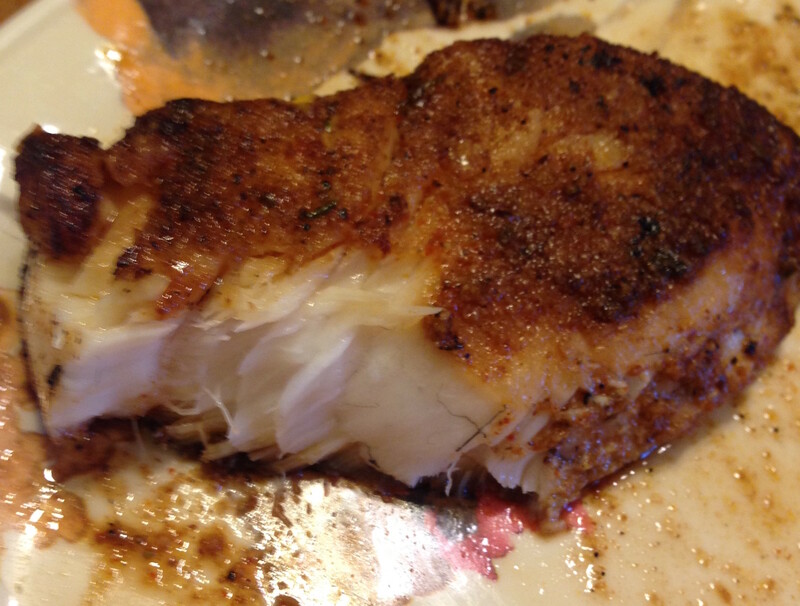 I kept my first three reds of the day for redfish cakes. 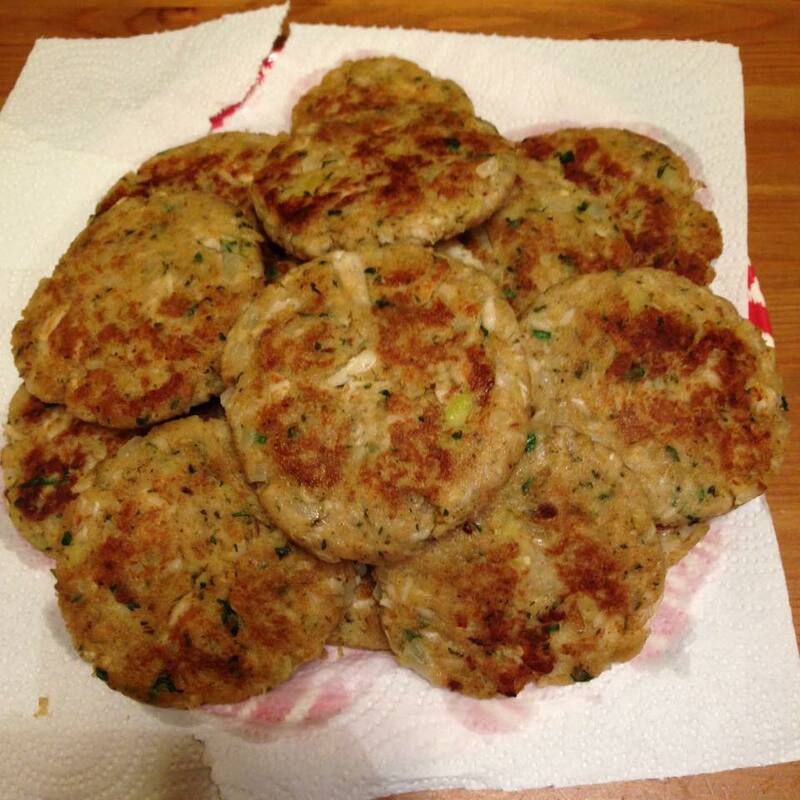 The link to the recipe is below. For those looking for a solid popping cork that will not only last, but creates a great chug when popped, check out the Bomber Paradise Popper. By my estimate, I’ve landed more than 50 reds on it and the wire leader is still just as straight as the day I bought it. It runs around $7 but you can use it seems like you can use it forever. This was a solo trip and I left my Go Pros at work so the pics aren’t that great. One of the crazy things about fishing is how making a minor change on the water can have such a huge impact on the amount of fish you catch. Last month I made a rare afternoon trip to an area that I had fished once before, but had wanted to explore a little more thoroughly for some time now. I had put in some time on Google earth and found a few shallow patches of shell near the south shoreline of this small lake which made me think it had some potential. I had a decent south wind on this particular evening so I decided to seek shelter and take advantage of the protection that the south shoreline would offer. 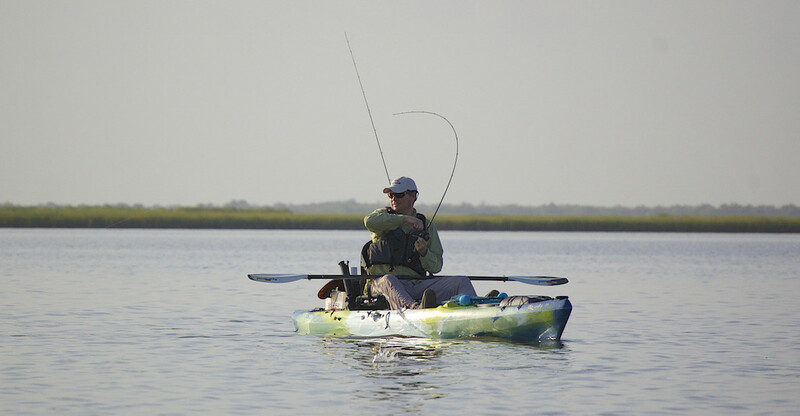 I paddle straight into the wind to reach my destination and spent the next several hours casting around the edges of the shallow shell with a She Dog and a soft plastic, neither of which produced a single blowup or bite. 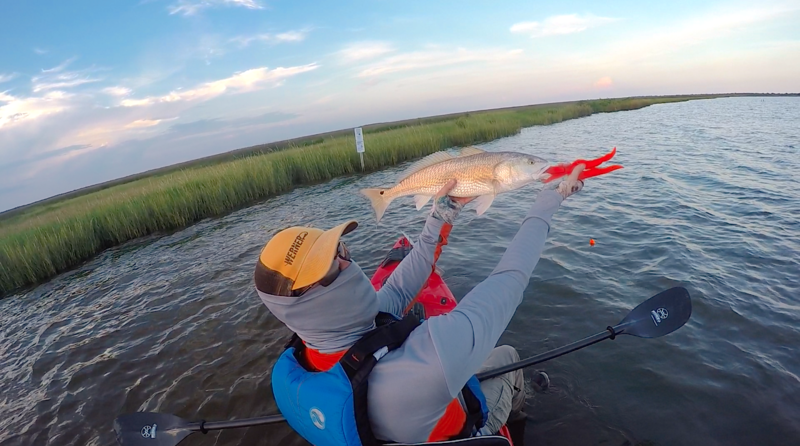 I found it hard to believe that I hadn’t caught a single redfish, especially considering the areas I was fishing and the amount of casts I had made. I had an average depth that was between one and two feet deep, a soft mud bottom, small patches of shell, and plenty of bait in the water. And yet I didn’t have a single fish to show for my efforts. I had been at it for a while now and started running a little low on daylight. I decided to head back towards the launch a little earlier than I had originally planned in order to keep from having to paddle back in the dark. The wind had finally let up a bit so I made a decision to give the wind blown shoreline a try before leaving. I also switched over to a popping cork with gulp shrimp to see if I could create a little noise and bring the fish to me. The north side of the lake lacked structure so I had not planned on giving it a try. However, since it had been receiving a constant barrage of wind and waves, it only made since to give it a shot. I made my first cast and hadn’t made more than a few pops of the Cork, when it suddenly disappeared. I reeled in my line to find a nice little 18-inch marsh trout. Not exactly what I was looking for but it got the skunk off my back. After tossing him back, I made a few more cast and the cork disappeared once again. This time I a nice lower slot red was on the end of my line. For the next hour the action was nonstop. I ended the trip with 10 reds and one trout before running out of daylight and being forced to head in. On my paddle back to the truck I couldn’t help but wonder if it was the change in location, the change in my set up, or a combination of the two that made the big difference on this trip. I still haven’t figured that one out, but it was nice to be reminded just how much of a difference a small adjustment can make while on the water. 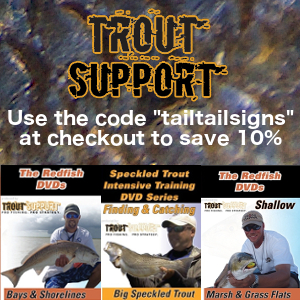 Early last week I received a phone call from Heath Hippel, owner of Buggs Fishing Lures. 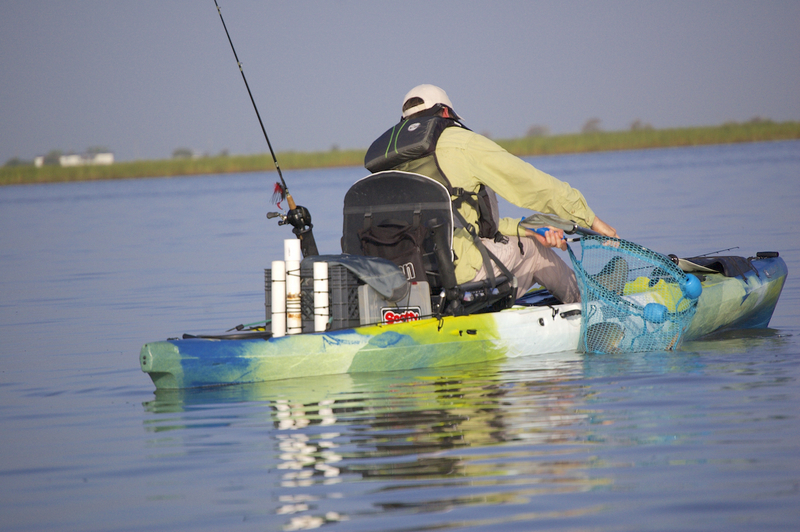 He was going to be making a trip across Houston to restock a few Buggs at the Fishing Tackle Unlimited store off of I-45 and wanted to see about getting a quick kayak trip in before dropping them off. 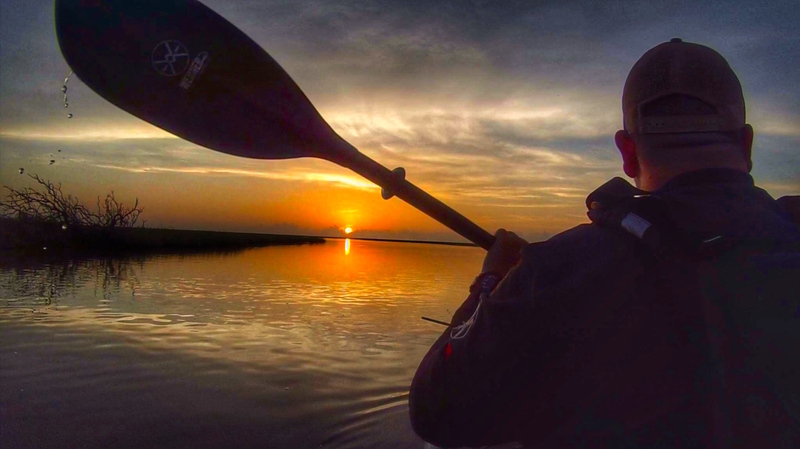 My morning was wide open since my wife and kids had stayed the night at her mothers house the night before, so we loaded up the kayaks and set off for the Texas coast. 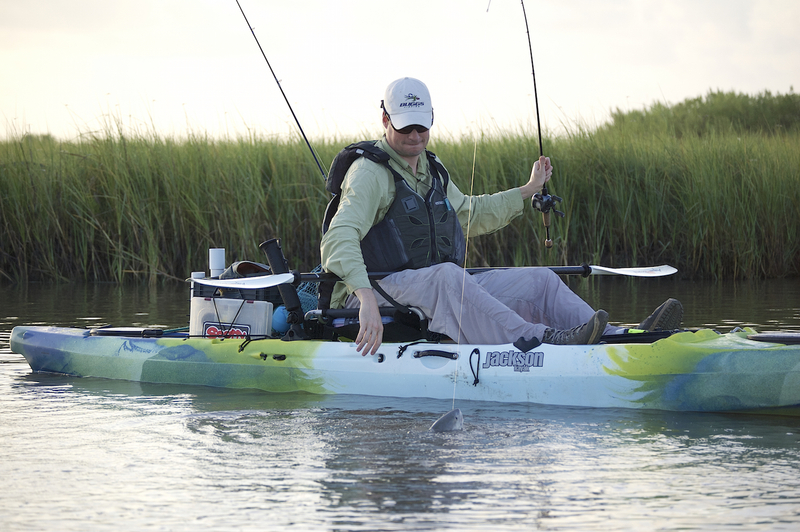 Heath had wanted to check out my Cuda 14, so I let him use it and paddled teammate Aaron Ferguson’s Kraken. We met my buddy David at the launch site at 6 am in hopes of launching early and returning early since the Texas heat has been so brutal here lately. 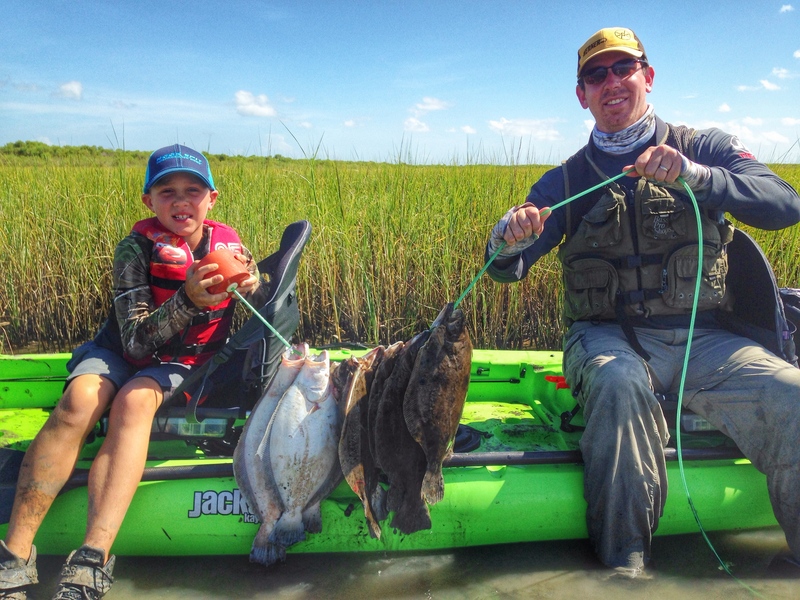 It didn’t take long to unload our kayaks and gear and we were off to the marsh. 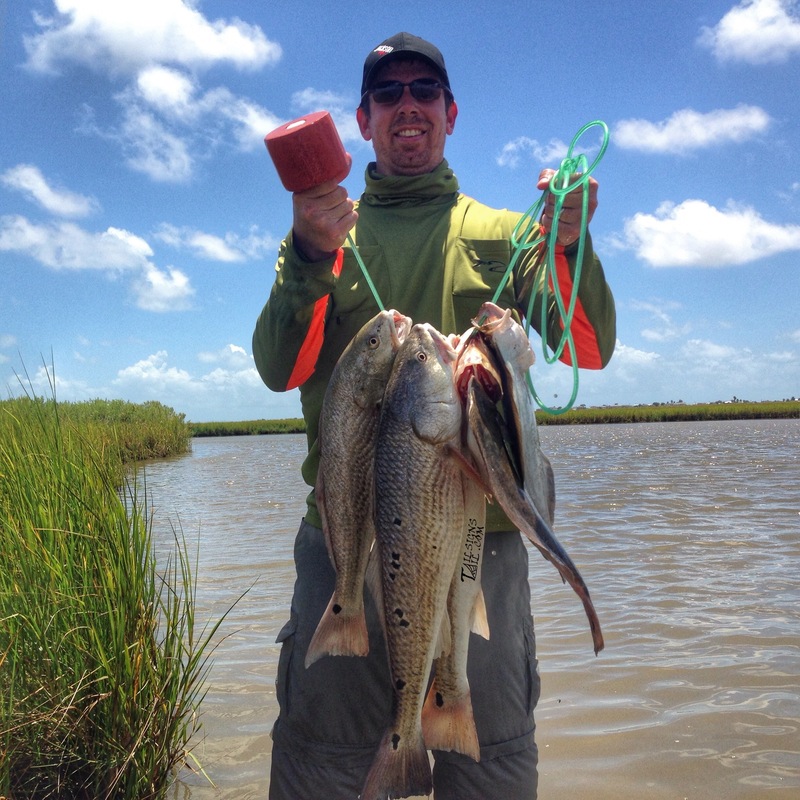 David decided to target flounder first, so Heath and I left him to search for redfish first. We were hoping to spot a few schools in the early morning light before trying our luck for flat fish later in the day. 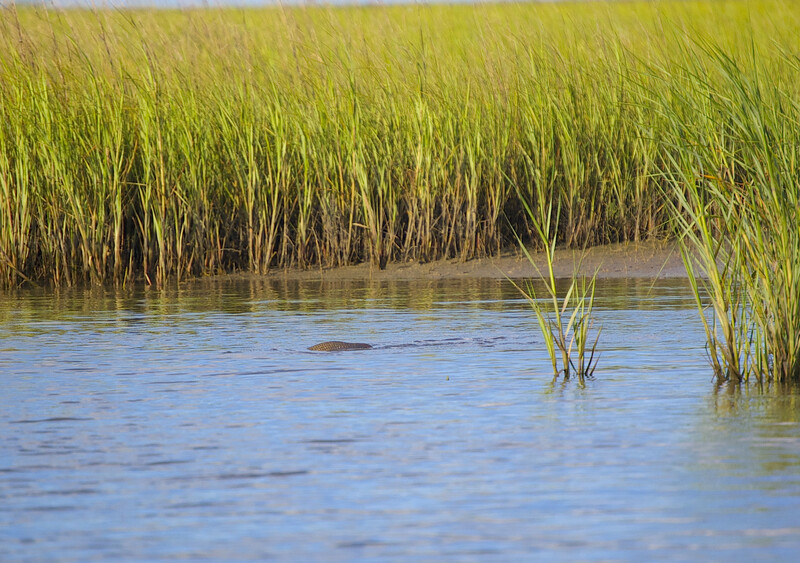 On our way out, we spotted several smaller redfish feeding over a small patch of shallow shell and decided to see if we could trick a few of them. We stopped for a few minutes and each pulled a fish from the area. Both fish were undersized, so we decided to keep moving in search of bigger fish. 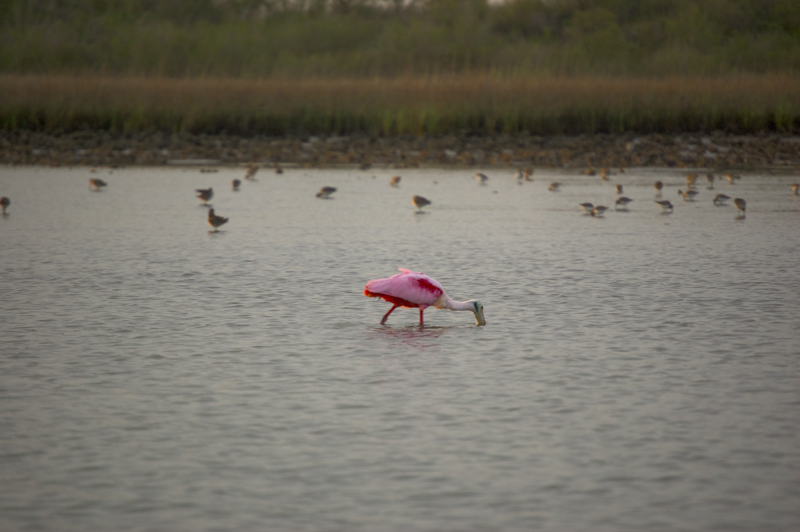 After paddling another 1/2 mile, we reached our destination and began scanning the shoreline for scattering bait, small wakes, and birds. The water was pretty glassy and we both felt that if the fish were schooled up, we would easily be able to see them. We saw no such thing though, and decided to move around a bit and blind cast a few spots while searching for signs of fish. After about ten minutes, a few small wakes appeared off in the distance. They didn’t seem large enough to be redfish, but they were creating more of a disturbance than a small school of baitfish would make. We kept a close watch on the area and finally saw a few large fish blow up on bait, which confirmed what we had been hoping for. 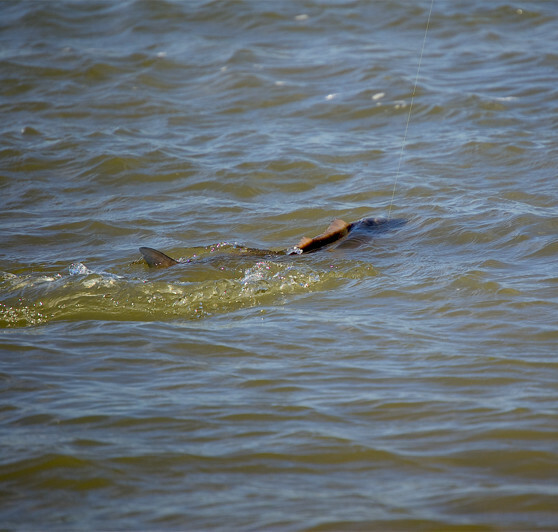 They school looked as though it might consist of about 20 redfish, so we slowly started making our way towards them. As we got within casting distance, we decided to attempt a double hook up. While getting ready to cast, another smaller school appeared 10 yards to my right and presented me with an easier cast. 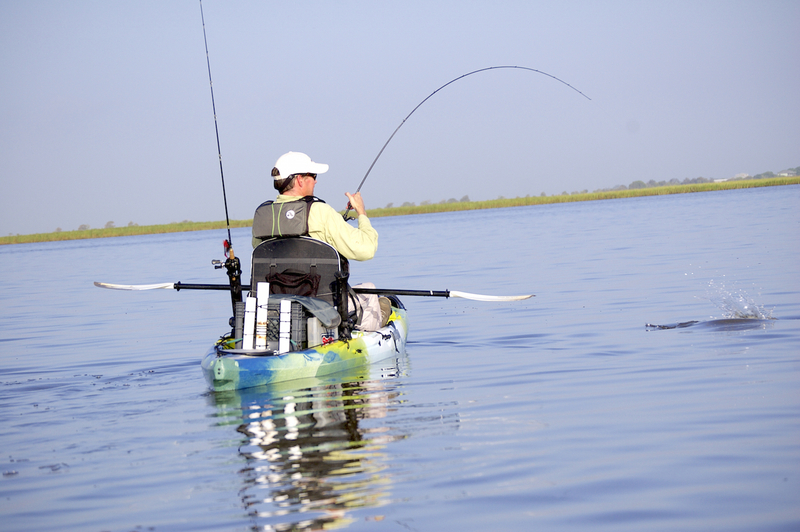 I let my Bugg fly, and hooked up after a few quick twitches with a solid redfish. It took me nearly 15 minutes to land the fish, which led me to believe that it would be an oversized fish. I was pleasantly surprised to see her hit the ruler and measure 27 3/4″ while weighing 9.25 lbs. on the Boga, my personal best slot red. During the commotion of my fight, Heath’s school quietly disappeared before he was able to make a cast. 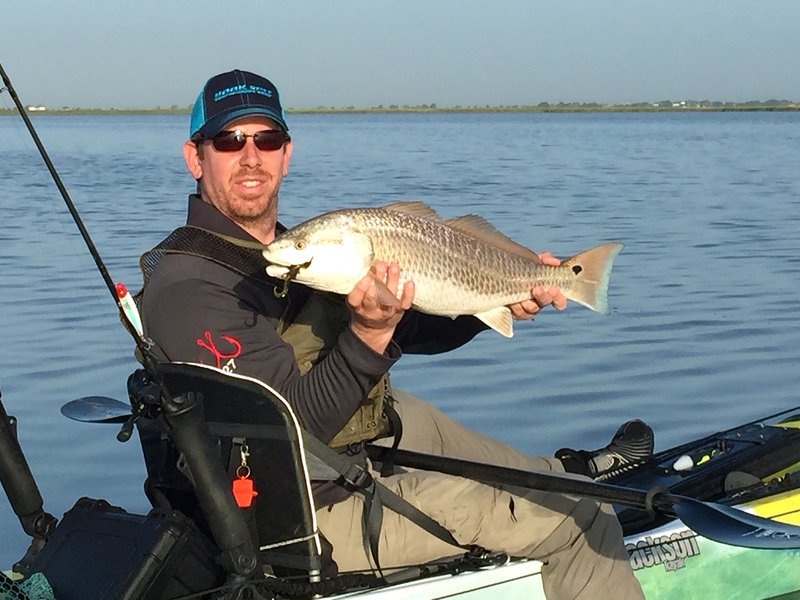 He fan casted the area anyway and hooked up with what we though would be a redfish, but it turned out to be a small black drum. We continued searching for more schools and it didn’t take long for Heath to spot one. 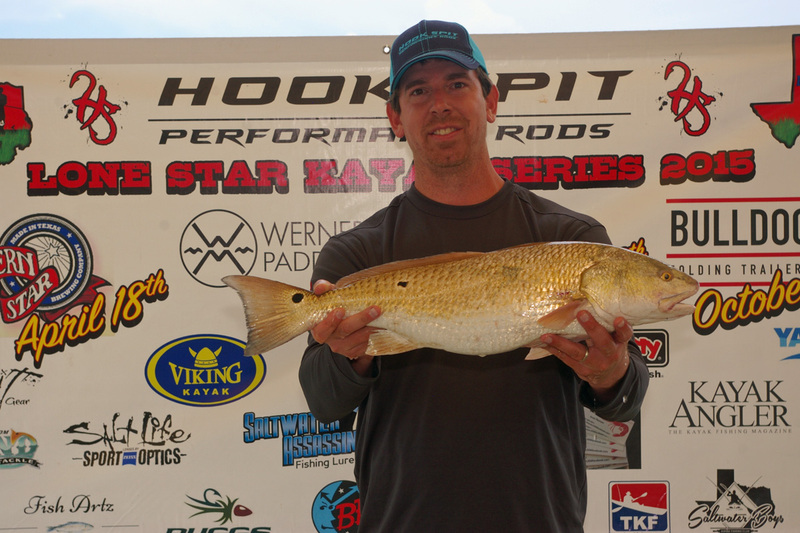 They were approaching fast and Heath made the most of his cast which produced a beautiful redfish that was just out of the slot. The school action died off after that and we tried working the area a little more, but without any luck. We decided to see if the flounder were around and met back up with David, who had caught a few flounder and a redfish. We missed a few flounder, but overall, they were not going to cooperate on this day. 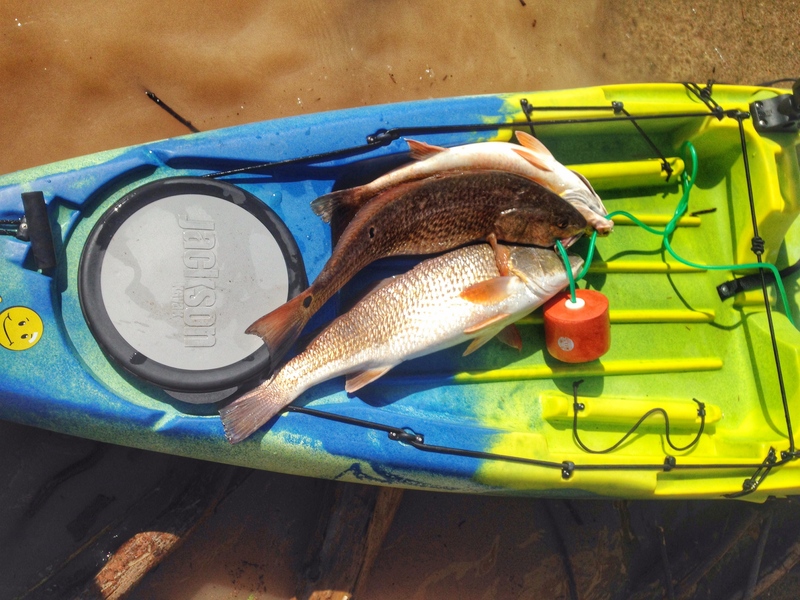 We tried catching a few more redfish instead, by switching over to gulp shrimp under a popping cork. 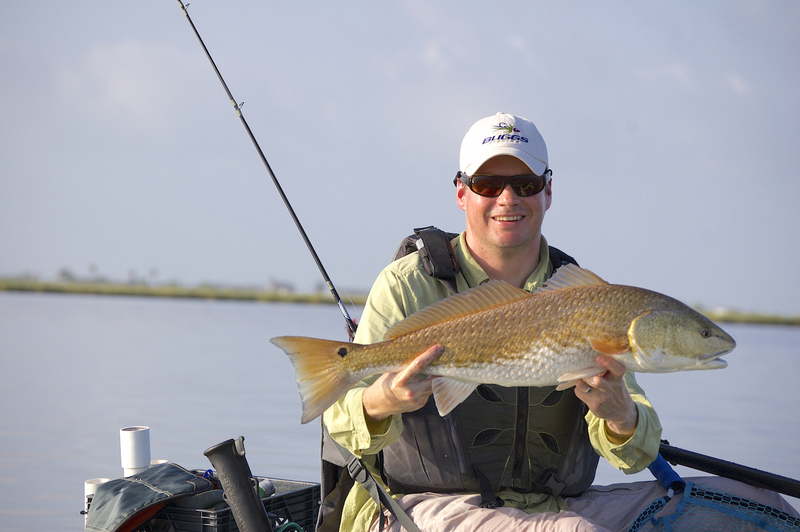 The trusty popping cork produced another five redfish for me and a few more for Heath and David. We made it back to the truck shortly after 11, got out of the hot sun, and headed home for the day. I’m already looking forward to the fall, when temperatures will drop and the fishing only gets better. 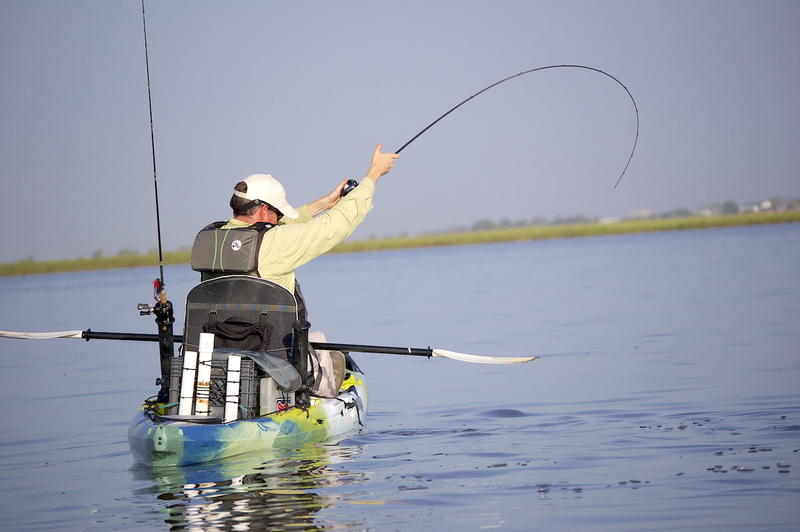 Until then, this angler will be launching early and coming back early whenever I have a chance to get on the water. For the first time in over a month, I had a chance to get out on the water and do a little fishing from the kayak. I was able to take my nine year old nephew with me on this trip and we had a really good time. He’s shown a great deal of interest in fishing lately and has been spending a lot of time catching fish from one of my parents ponds. 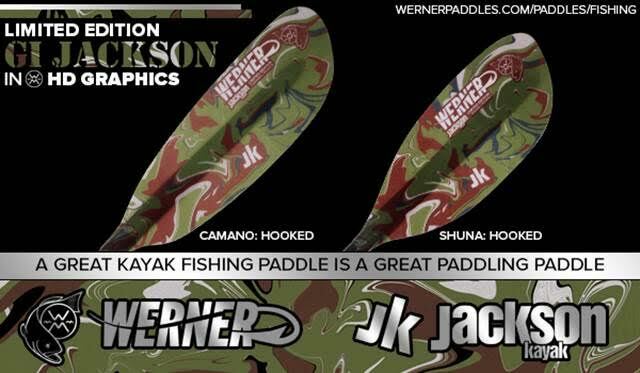 I figured this is as good a time as any to introduce him to both kayaking and saltwater fishing. 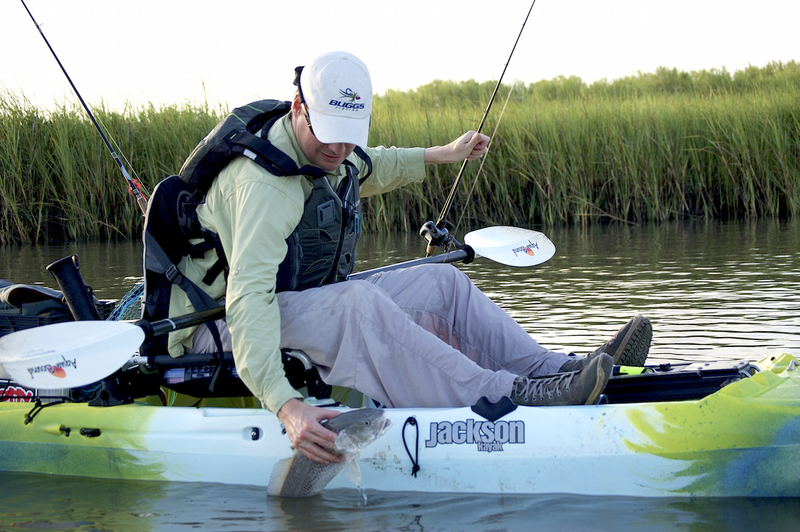 I swung by Fishing Tackle Unlimited the day before and picked up a Jackson Big Tuna (tandem kayak) for us to paddle. 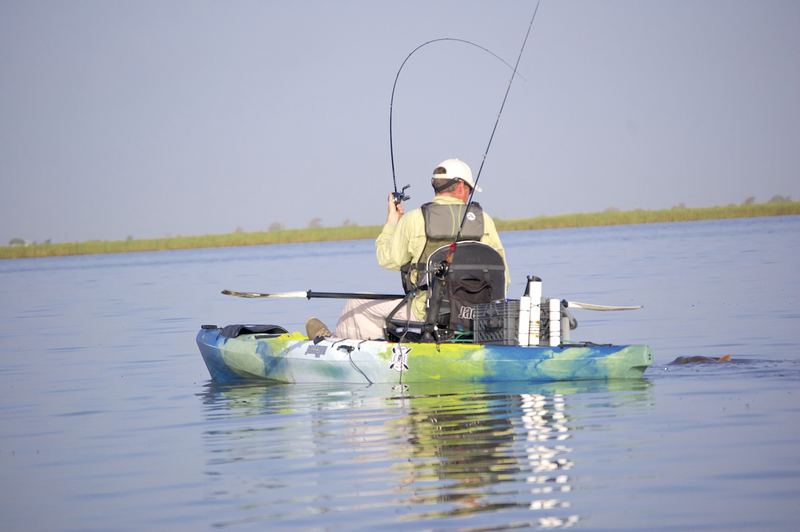 For those looking at renting kayaks in the Houston area, FTU is a great place with plenty of options to choose from. The ideal plan would have been to launch at 6 am and finish up around 10 or 11 since we are in the middle of July, but I wasn’t able to pick up my nephew until 10 am. We made a quick stop at Bucee’s to grab a few waters and Gatorades in order to stay hydrated and continued on our way. We arrived at our launch a little after 11 and met up with my good friend David. 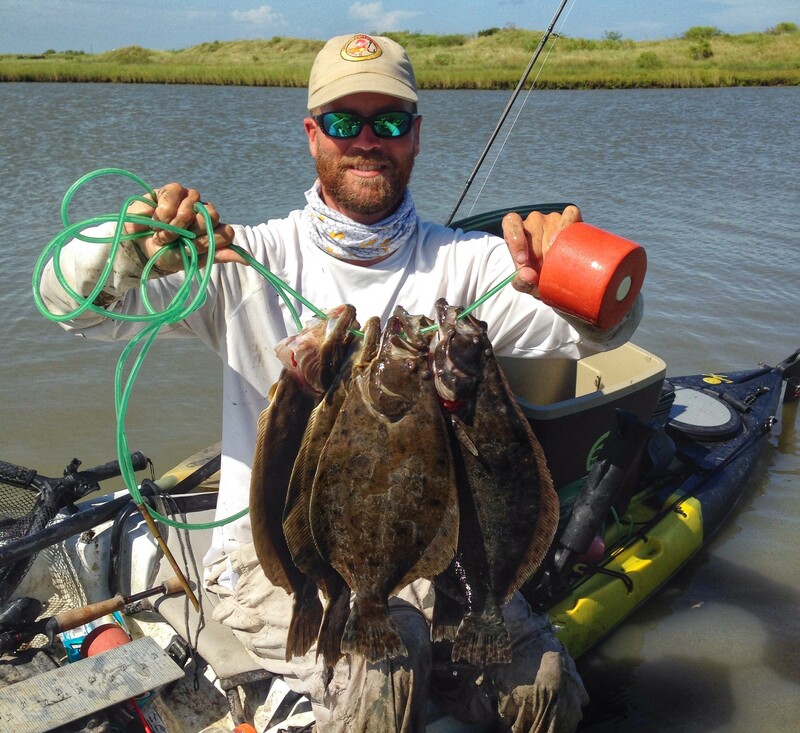 We unloaded the kayaks and made our way to our flounder hole. 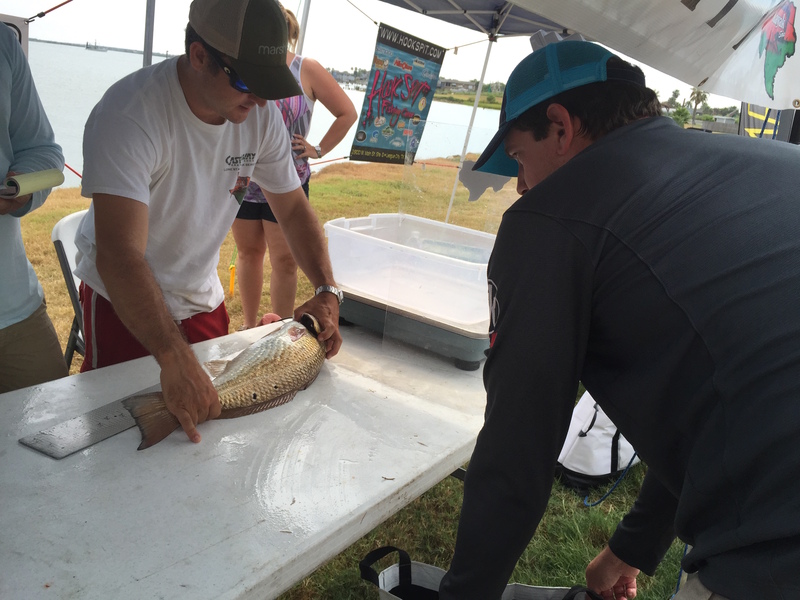 We arrived around noon, with temps already holding steady in the upper 90s and started looking for fish. 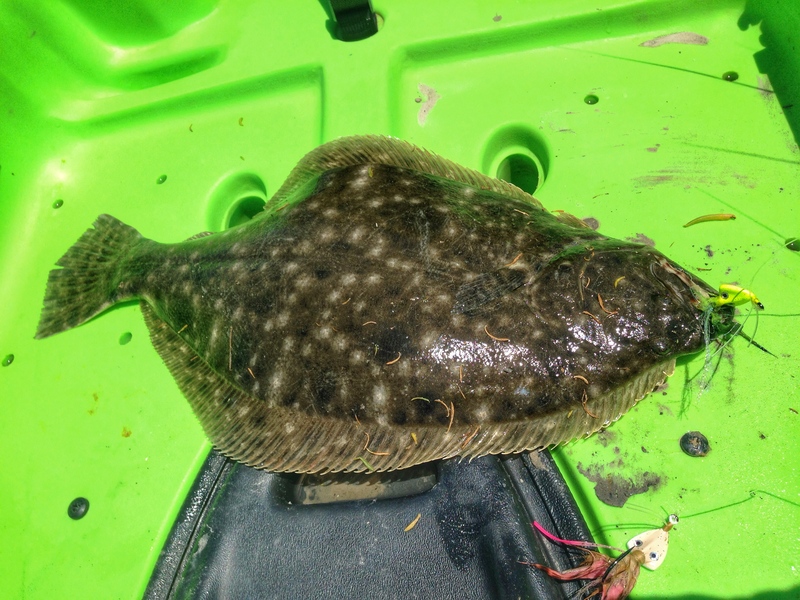 I started off throwing a couple of Buggs rigged tandem and picked up a solid 19″ flounder to start the day. We moved around quite a bit until we found where the flat fish were holding. I watched my nephew bring a few flounder to the surface before they spit the hook at him and dove back down. 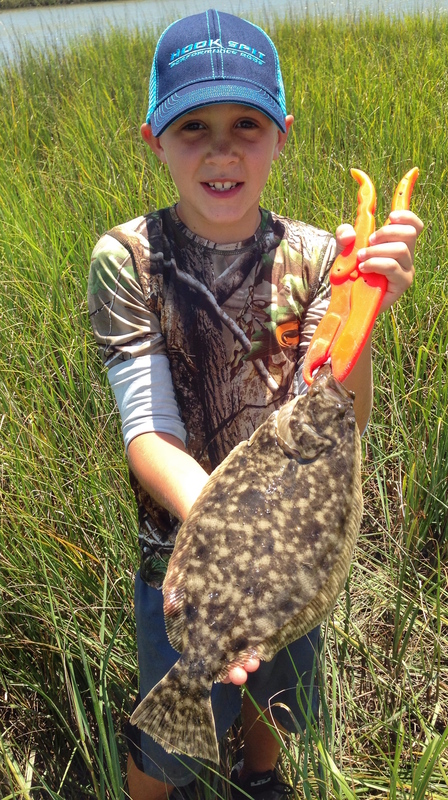 Premature hook sets were the cause of the missed fish, but that was to be expected on a young boys first flounder trip since his initial reaction after each strike was to immediately set the hook. After an hour or so he finally got one to commit and landed his first flounder. The bite wasn’t hot and heavy, but we caught a fish every 15 – 20 minutes. By the time four o’clock hit, we had a decent stringer of fish and needed to get out of the sun. 4″ white Gulp Swimming Mullet on 1/4 oz jighead produced the majority of our bites by slowly working them along a drop off from about 2 to 8 feet in depth. 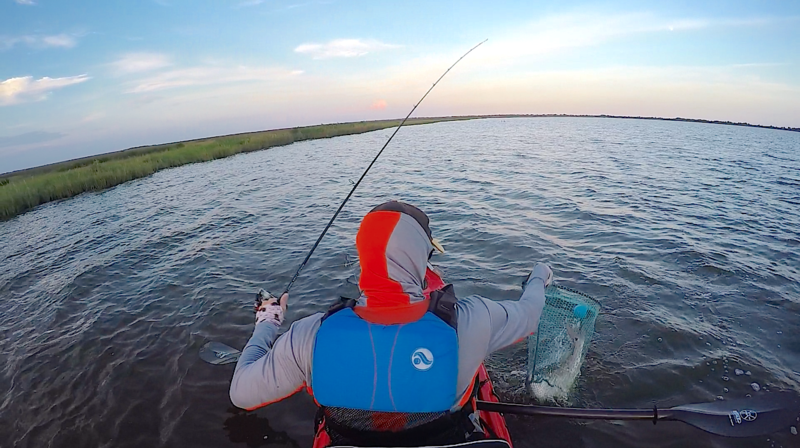 My nephew tried to convince me to push further back into the marsh in search of redfish, but the wind was blowing every bit of 15 mph with gusts to 20. 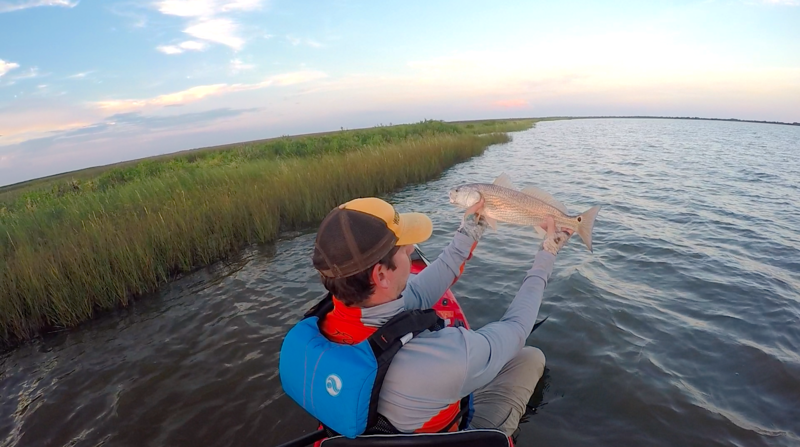 I didn’t have the energy to battle the wind for several miles, but promised him we’d make another trip in the fall when big schools are roaming the marsh.